TrekFit™ is a first class professional nutrition service that prioritizes its goal at providing a solid health foundation to promote quality of life. 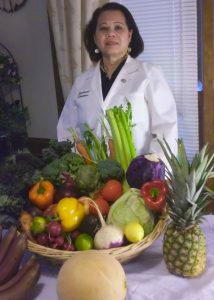 This company is owned and operated by a Registered and Licensed Dietitian who has extensive experience in primary care settings, various specialty care settings, and health program management. Our mission is to promote quality of life for mankind – it’s as simple as that! Our vision is to be the preferred professional nutrition service delivered interactively by an expert in nutrition and dietetics in order to produce quality of knowledge and understanding on how foods make up for what we are as individuals. Our objectives are channeled through the different pathways that we use to produce healthful results that promote quality of life. Our service stresses the critical role of nutrition and physical activities in the prevention of chronic diseases. We aim at promoting quality of life rather than providing you with a “quick fix” to whatever health problem that you may have. We do this by providing you with the basic foundation in building a healthy lifestyle. 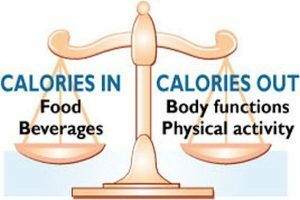 By understanding the calories and basic nutrients in the foods you eat can help plan a better way to control overweight/obesity and preventing or managing the adverse effects of chronic diseases, such as diabetes, kidney, cancer, and cardiovascular diseases. Our TrekFit™ Program provides you with the choice of personal service from a Registered Dietitian-Nutritionist with years of experience in nutrition and dietetics, and is a Licensed Dietitian. This program includes sessions that help you understand the likely impact of individuals foods, the healthful benefits of complex carbohydrates, lean protein, and the likely impact of high fat and high calorie intake on blood sugar levels, blood pressure control and weight control. Our approach emphasizes positive outcomes that help you achieve optimum quality of life. Being healthy is not all about losing weight, but maintaining your equilibrium. If you a struggling to lose weight and have gone through circles of diet, then you need the nutrition expert to help you achieve a lifelong healthy outcomes. If you have a challenging health condition that requires the expertise of a clinician, then you need the nutrition expert to help you achieve optimum nutrition. If you want to combat the health challenges of aging, that requires guidance in maintaining vitality, then consulting a nutrition expert is right choice. Finally, if you are an avid athlete or a physically active person, the nutrition expert can provide you with science-based advice from a Registered Dietitian Nutritionist (RDN). 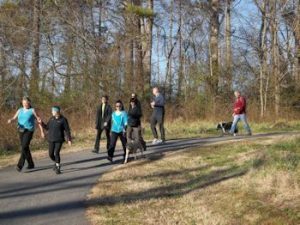 The Program/Services section provides information or guidelines that serve as starting points in building your healthy lifestyle. We believe that the more information you can learn about food and nutrition, the more flexibility you can make in achieving a healthy lifestyle. We take into consideration the long-term success of our clients’ efforts to maintain weight control. We do this through continuous interaction with clients via the follow-up appointments and provide them with advancing tools and science-based knowledge to reinforce healthy habits. **TrekFit ™ is the official Trademark used by this site, and it has been in use since the year 2000.